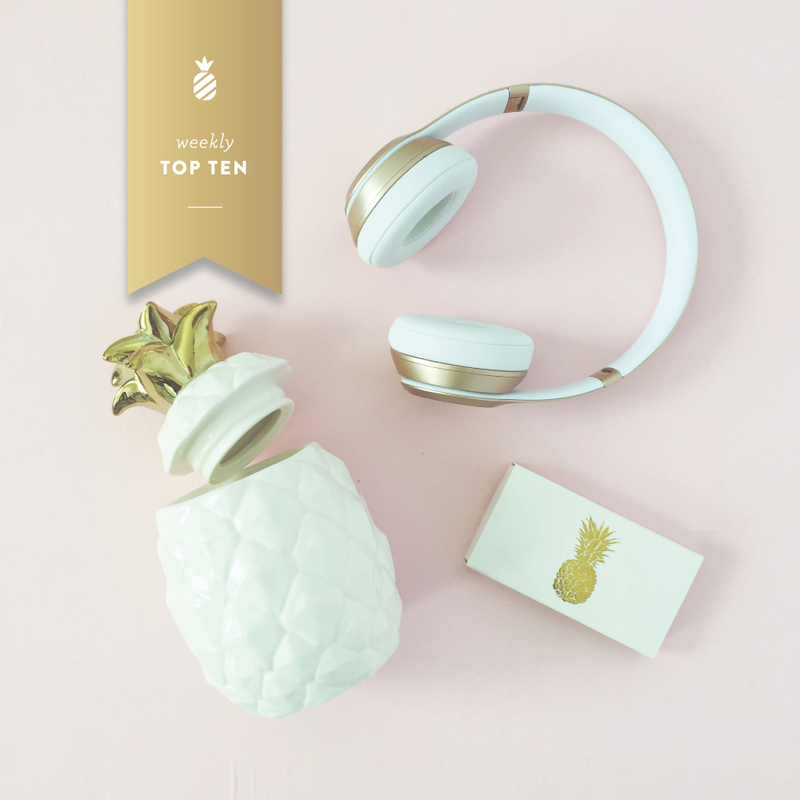 1) West Elm Pineapple Candle: This candle was sold out for a few months, but it’s back! Hurry and grab one before they sell out again! 2) The Pioneer Woman’s Texas Sheet Cake: This Texas sheet cake claims to be the best ever. If you’re looking for a yummy dessert to make this weekend, we highly suggest you give it a try! 3) Pineapple Matches: We love a cute match box that we can leave out to display next to our favorite candle. This gold pineapple one does not disappoint! 4) Mint Dot Magazine Box: Store everything from magazines or important documents to extra gift bags and tissue paper. These boxes are perfect for cleaning up the clutter! 5) Building the Perfect Cheese Platter by Waiting on Martha: We LOVE a good cheese platter. Mandy spills all her secrets for preparing the perfect charcuterie board in this post. Must read! 6) Humble and Kind by Tim McGraw: This song. We can’t get enough it. So, so sweet! 7) Paper Luxe in Tacoma, Washington: Did you know Emily Ley products are sold in hundreds of retailers all over the world? Paper Luxe in Tacoma, WA is just one of our amazing retailers! 8) Emily Ley Maybooks: Customizable Maybooks are back over on May Designs‘ website! These little books match the Simplified Planner covers and fit perfectly inside the front pocket. 9) NARS Lip Gloss: One of the best lip glosses around. Perfect for those light, spring days that are just around the corner! 10) Our February Playlist: Don’t forget to take a listen to our February playlist! We’re listening to these love songs in the office all month long.